This was the absolute best way to see Sydney! Bonza Bike Shop was very easy to work with. We ended up changing our bike tour to the next day and from the Hi-lifght Tour to the Classic Tour which I’m so glad we did. We were able to see a wide variety of places and areas throughout the city that we would never have experienced had we not done the tour. Places like Barangaroo, Miller’s Point (where the city first started), the view from the Observatory, the oldest brewery/pub in the city, etc. Our tour guide Allen was awesome! He kept things light and fun while sharing lots of interesting information about both Sydney and Australia overall. It was the perfect way to start our trip to Australia and Sydney. I highly recommend the Classic Tour and Bomza Bikes!! Nice nice! Got to see a lot of places in a short period of time! Very good tour, we hit a lot of the main spots and stopping for a local brew was really nice! Super fun day! This is the perfect way to see Sydney, because you cover so much area. The bike company and bikes were top quality and our guide Steve had us laughing the whole time. 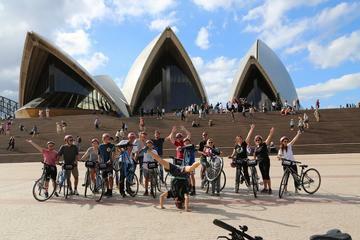 The Sydney bike tour was perfect! Careful attention was paid to helmets, bike safety and group safety. 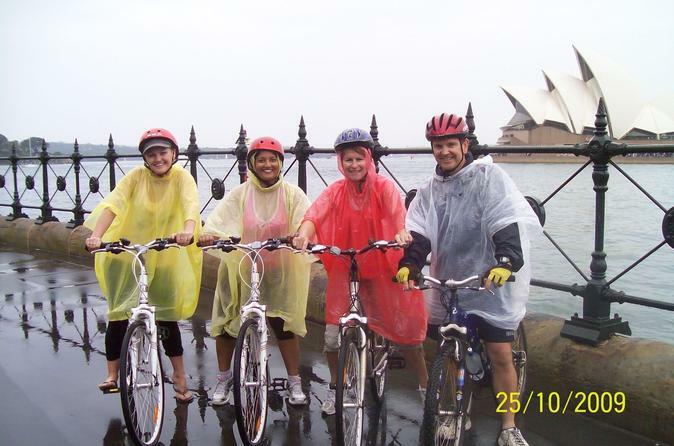 Our small group 7 riders enjoyed interesting facts and stories about Sydney's landmarks and history. The ride around the harbor and Harbor Bridge was wonderful, with multiple, up-close photo opportunities of the bridge and opera house. A stop at Lord Nelson's Brewery, established in 1841, was a perfect place for a cool drink and lots of atmosphere. I would definitely recommend this tour! Great excursion! We did the 5 hour tour which included crossing the Sydney Bridge. HOWEVER, be aware the ride is more difficult than advertised. The site reports this ride is good for all levels of riders but it was not accurate. We were in a small group of two couples and a guide. Two people were very experienced riders and two were not including me. There are a lot of hills as well as city traffic! At times, we had to ride on the sidewalks due to heavy traffic with lots of pedestrians. I had to get off my bike and walk through the crowds. Several times, I was left behind due to missing a traffic light. Also, remember, you will be riding on the other side of the street. I spent more watching the crowds and cars and surely missed some gorgeous scenery. If you are a confident rider, you will enjoy this bike ride. Lunch was supplied. The guide was knowledgeable and funny. Even though I had some difficult times, I still would recommend this bike ride. Easy to find meet up point. It is a wonderful way to see some interesting parts of the city. Very worthwhile tour.